the first White House memoirist and his unique journey from slavery to freedom played out in the highest circles of ideas and power. the complicated relationship between James Madison, the Father of the Constitution, and his enslaved manservant. 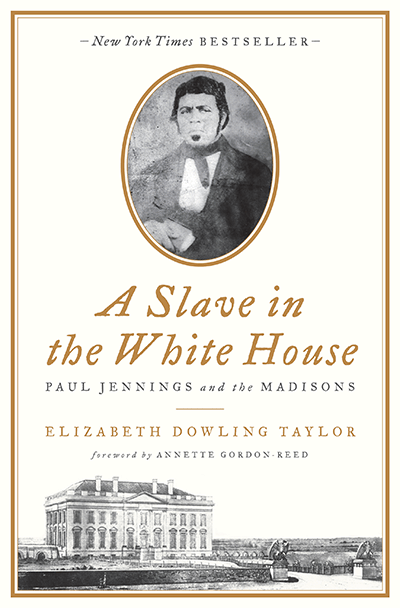 the even more complicated relationship between Jennings and the widowed Dolley Madison who broke her promise to free him; and of the New England senator, Daniel Webster, who stepped in to aid Jennings by lending him his purchase price. Jennings’s efforts to help 77 still-enslaved men, women and children reach freedom in the grandest-scale-ever attempted slave escape. a vital antebellum African-American community in the nation’s new capital that included ex-slaves of Presidents Washington, Jefferson and Madison. It is a story . . .
that has never been told. whose time for telling is now. based on original research, newly-discovered documents, and telling oral histories from Paul Jennings’s descendants. Copy from this website may be republished electronically only with acknowledgement of its source and a link to www.pauljennings.info.